After going through the process of setting up a few different website apps, I have found a handful of common tasks and changes that I make for just about every app. I’ve included these all below for convenience and easy reference. One of my annoyances with CodeIgniter is the fact that by default, the index.php file is included in the URLs (e.g. example.com/index.php/news/article/my_article). To me, this seems messy and unnecessary. Luckily, CodeIgniter provides instructions on removing the index.php file. For the sake of convenience, I have included the steps necessary to remove the index.php file below. It’s important to note that the code in the sample above might not work for all server configurations. Also, as seen in the RewriteCond above, make sure to exclude any assets/directories that you need to be publicly accessible. As an example, for my projects, I generally have a public directory that contains my CSS, JS, and image assets, so I always put public in the RewriteCond. One of the first things that I needed to do was get a handle on setting up multiple environments for development, testing, and production. The CodeIgniter documentation has instructions for Handling Multiple Environments, which is fairly easy to set up. However, it involves defining the environment in the core index.php file rather than setting it more dynamically, like using the URL to help. In addition to defining the environment constant dynamically based on the URL, I also create environment-specific directories (as noted in the CodeIgniter documentation) in the application > config folder. Each environment-specific directory contains its own config.php, constants.php, and database.php file, where I can set variable values based on that specific environment, rather than in the main config versions of these files, as is the default. CodeIgniter will check for settings in the environment-specific folders first, and if it can’t find a setting for something, it will then look in the default configuration files. This is a very nice feature, and a great way to keep a project dynamic and easy to manage. Alternatively, if you don’t have any other constants to define, you could choose to not use an environment-specific constants.php file, and just set the $config[‘base_url’] directly in each environment-specific config.php file. That’s completely up to you and your project needs. Other than the obvious benefit of having the environment be set dynamically, another nice thing about this setup is that the development directory files don’t need to be checked into source control if you’re working with multiple developers. Rather, you can set up a “template” file to include in source control, but then let individual developers set up their own config files for the development environment based on their own local computer setup. 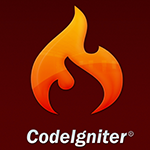 There is a lot of configuration and setup that can be done with CodeIgniter, and doing the configuration tasks above is just a small (but important) part. But by setting up your applications like this, it will make your CodeIgniter development life much easier.